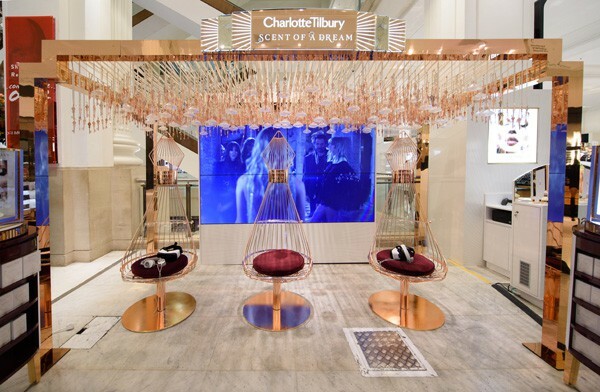 Charlotte Tilbury has launched a 360 virtual reality experience to celebrate the launch of its debut fragrance, Scent of Dreams. 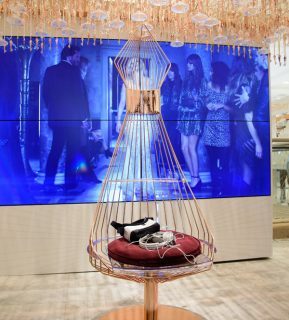 This bespoke event is being ran within Covent Garden store and Selfridges on Oxford Street. Fans get the chance to interact with the site and watch a virtual reality film starring super model Kate Moss. Customers sit on the chairs on site while wearing the VR headset, from there they get to choose which way they want to be transported. They can turn one way and be transported through astral wormholes while on a celestial guide with Kate Moss, spin on their chair and they go zooming past constellations to dance and kiss amongst the stars. 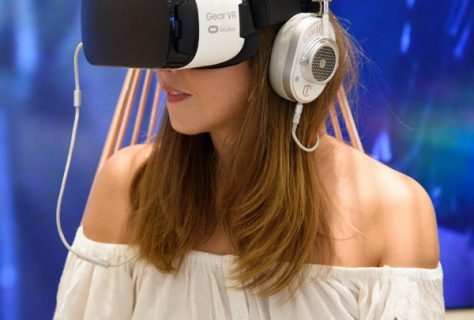 The aim of using VR for this event is to bring Charlotte's original scent dream to life. It allows the users to visualise the invisible. "The VR experience recreates a mental state of synaesthesia" says Antoine Wagner, the Director of the VR film. "It is to add bewilderment and intensity on the senses so that you have a new experience in which you can smell and understand the perfume with your eyes!"